When we fall in love, we are in forever. Stay tune and wait for our new and everlasting collection 2018fw. I, for one, have always had a kimono robe in my closet. I loved trying on my japanese roommate’s traditional kimonos when i was at school. It always felt like a dressing up party. The robe is both feminine and flamboyant at the same time. You would have to stand teller and walk in little steps with the tight bodice. And you would draw all the attention to you with the vivid colors and bold pattern. You think traditional costumes are demure? you’d better think again. The modern versions of kimono coats minus the restrictive waist belt have earned an everlasting place in the fashion world. We love how the simple structure of the coat and the exquisite silky suede material compliment each other. The wide sleeves and and open front give you maximum comfort. Let your imagination go wild with layering ideas and showing off you bangles and jewellery. In the summer between my 2nd and 3rd year in college, I decided to sign up for an introduction to astronomy, designated for non-science based students. To me, astronomy is sci-fiction – movies, tv, novels. I day dreamed about the galaxy far, far away. At the very first lecture, I sat alone in the middle of a big class pretending that I wasn’t intimidated by the foreign terms and long words. The professor invited us into his world of planets, galaxy, and black hole. He frantically pushed his hands thru his fussy hair when he looked for simple words to explain the concepts. His small eyes were shining when he showed us how to find the northern star and his hands were waving wildly to illustrate the big bang theory. For 2 hours I sat there mesmerized by his enthusiasm, feeling lost with a sinking heart, knowing that I was totally out of my league. After class, I stood quietly at the bus-stop with a few fellow students. My mind was racing. “I am going to fail this course. My GPA will go down and my life is over.” Somebody gasped and pointed a finger up above. I looked up blinking back my tears of dismay and saw the dark velvety blue sky covered with shinny stars. The big dipper and the Polaris stood out in front just like the picture we saw in class. The stars were brilliant. They were daunting me and daring me to feel sorry for my receding GPA. Who am I in this endless universe. What am I but a frog at the bottom of a well. Suddenly my head cleared, my heart soared. What a beautiful world and I am lucky to be part of it. To this day, I could always find peace and courage when I look up at the starry night sky. I am tiny and insignificant but I am part of this beautiful universe. There is no edge to the universe and I vow never set any limit to myself. “look up at the stars and not down at your feet” In memory of Dr. S.H., the household name that bridge the gap between us, the universe and infinite possibilities. Happy New Year, everyone! How was your holidays? Hope you are recovering from the overloaded festivities (or lack thereof)! Yes, it is the time of the year to made new resolutions! Have you made a list? and are they very well forgotten already after 2 weeks? Well, it’s ok, don’t be discouraged, you are not alone. Making a change in life is a long hard struggle. It is not meant to happen overnight. Every little move is probably insignificant but some where down the road, when you look back, you will see the progress you made. To keep us on the right track though, we have to know our mode. What’s your mode?Mode is a way of living. Mode is how you express yourself. You can have many modes, work mode, play mode, family mode, running mode, bumming mode. Search for it, get to know it, stick to it. And then you are ready for the future. Wishing you good health, good spirit and good fortune in the coming year! If you think biker is down and dirty and a tough guy must-have, then think again. Let’s see how a nicely tailored biker jacket can transform your wardrobe and open new doors for you. 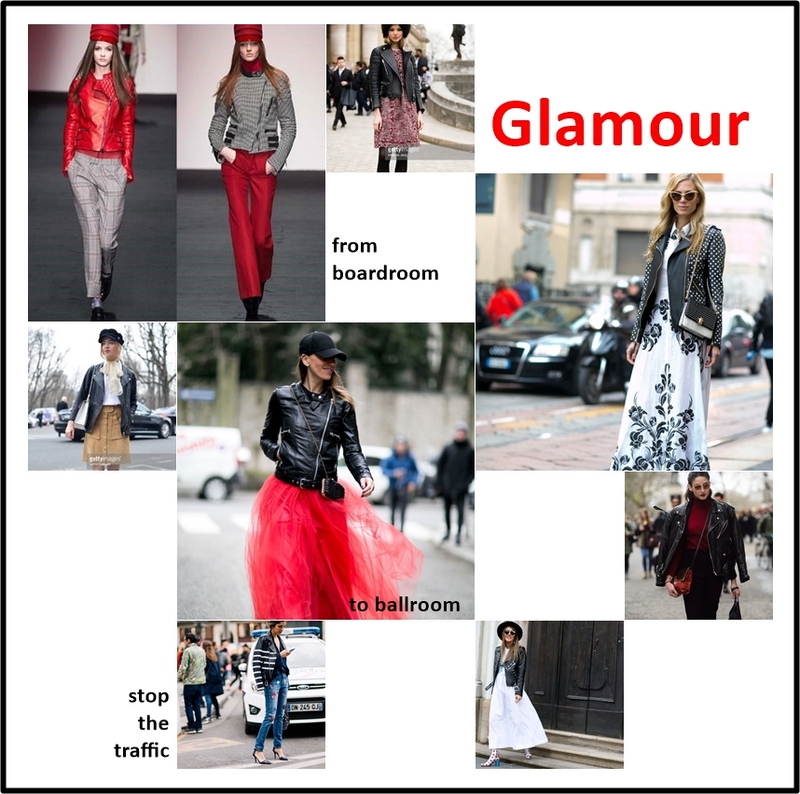 From boardroom to ballroom, your biker jacket will draw everyone’s attention. Throw in some bright color accessories to balance the tough look. How about giving it a contrast with a bit of lace or tutu? It takes at least 3 years for a beginner to master the skills of sewing leather. • Year 2 – intricate parts such as pocket openings. Why does it take so long to master the skill? Because no mistake is allowed! Imagine! There is no eraser, there is no correction pen. If stitches are undone (snip, snip), there will be needle holes left behind and the panel has to be thrown away. Do you ever wonder how your leather jacket is made? 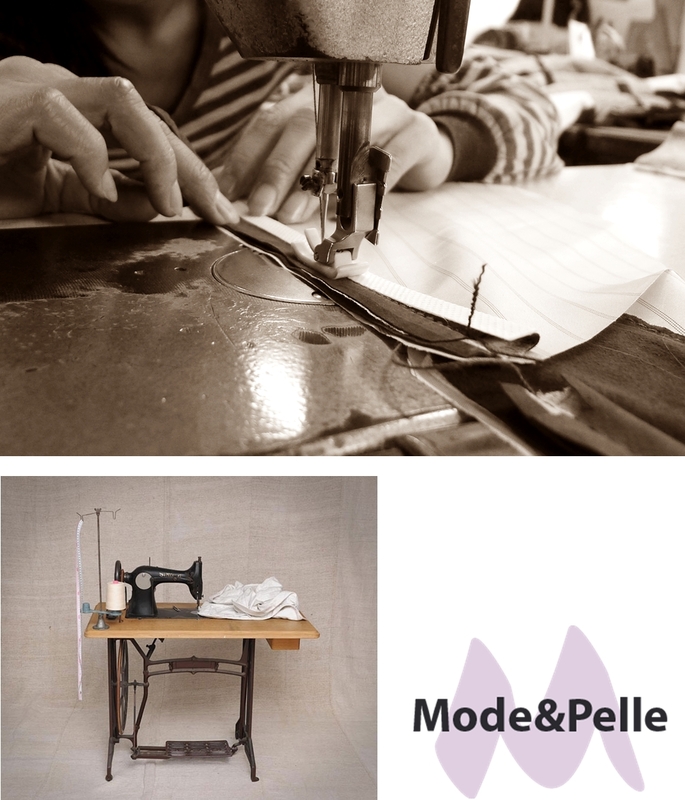 Let me tell you some awesome facts about Mode & Pelle! Our experienced cutters are master artisans. Leather hides are their canvas. 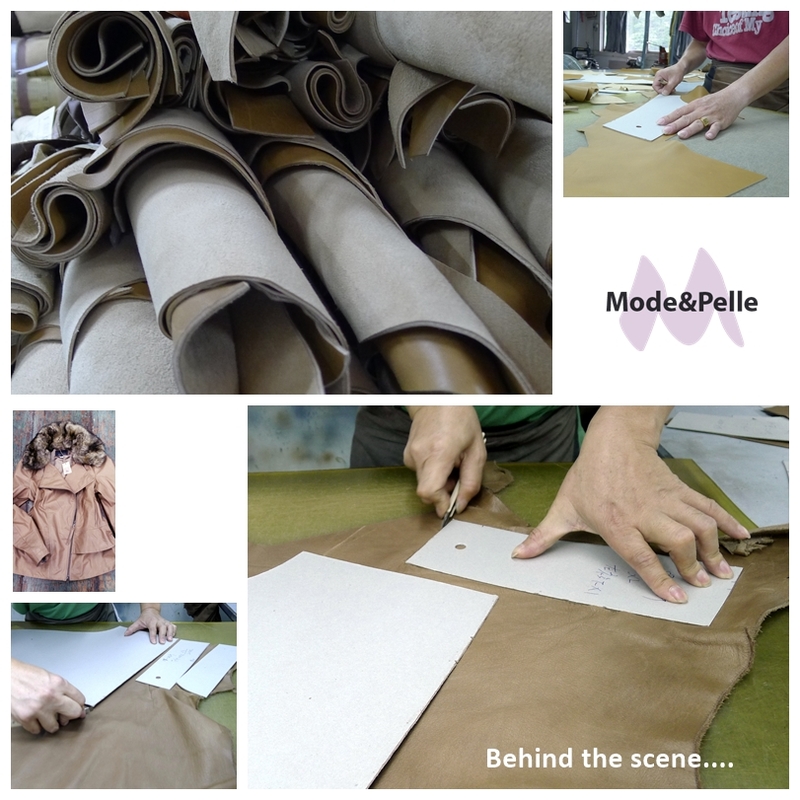 They cut and trace every panel by hand knowing exactly how they want the jacket to look once it is assembled. No machine can replace the masters’ artistry and no two jackets are the same!